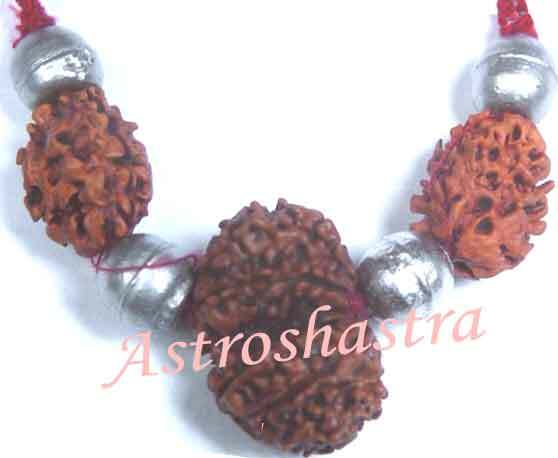 Powerful pendant with Fourteen Mukhi Rudraksh in the centre surrounded by two three mukh rudraksh beads and three Parad beads symbolzing the powers of Lord Hanuman. 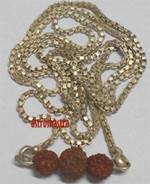 Benefits of this Power pendant are innumerable , it cancels the Mangal Dosh , it appease the malefic Saturn , it purifies the body and soul, it improve the self confidence, it enhance the sexual performance, it controls the hypertension. 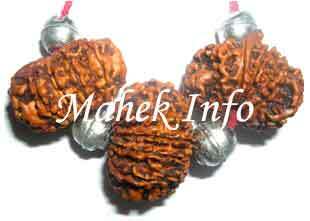 One of the most auspicious pendant with such powerful rudraksh and parad beads giving benefit to the wearer.